Home»Blog»News & Update»How The Malaysian SME Can Get Online – The Fast and Easy Way! You know that the best businesses survive by being adaptable. The world changes faster every year and you have to keep up in order to continue to do business. Consider how ten years ago, no one would suspect that you can do almost everything through a smartphone, that your car could be computerised, and the Internet would play such a big role in your life. Should Your Malaysia SME Go Digital? Say Goodbye To Paper MoneyNowadays there are so many ways to pay for things that don’t involve using physical money. Debit cards, credit cards and online banking make payment so easy. And new developments are coming. The mobile wallet, which is widely used in urban China and India, is making waves here in Malaysia. Local banks like CIMB, Hong Leong and Maybank are partnering with services like Alipay, WeChat Pay and Samsung Pay to make it more convenient for all consumers with smartphones.Even Axiata has launched Boost e-wallet where consumers can get heavy discounts at different food trucks, pasar malams and food courts in Klang Valley. Bank Negara is taking steps to enhance online payment, including waiving online instant transfer fees and increasing cheque fees. Various programmes have been started by government agencies SME Corp and MDEC to help boost the digital economy in Malaysia including eRezeki, eUsahawan, eLadang as well as e-payment and certification programmes. Local entrepreneur Nur Raihan Anuar sells cosmetics and skin-care 100 percent online earning monthly sales of RM250,000 from Brunei, Singapore and Indonesia. Christyng.com, supplying special hand crafted custom-made shoes online, is now reaping seven figures selling more than 1,000 shoes monthly. Vincent and Henry Tong, twin brothers, have started a string of print and personalised gift start-ups that is now reaping US$6.35 million online. So now that I’ve got your interest, you might be wondering about your next step. Maybe you want to launch out into this brave new world or you want to improve your online presence even further. But where to begin? Exabytes, a local SME providing web-hosting services, contacted us to give us a tour to show what they can do to help. 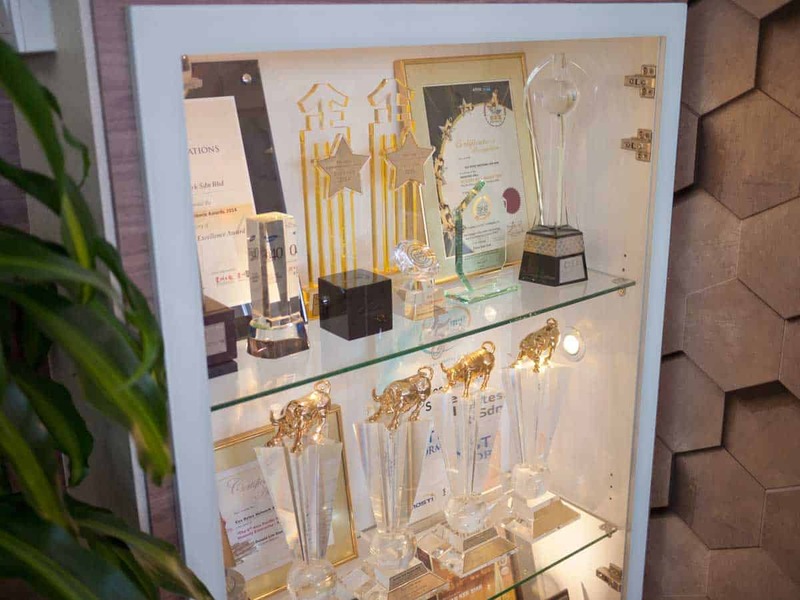 Established in 2001, Exabytes is a local award-winning SME. 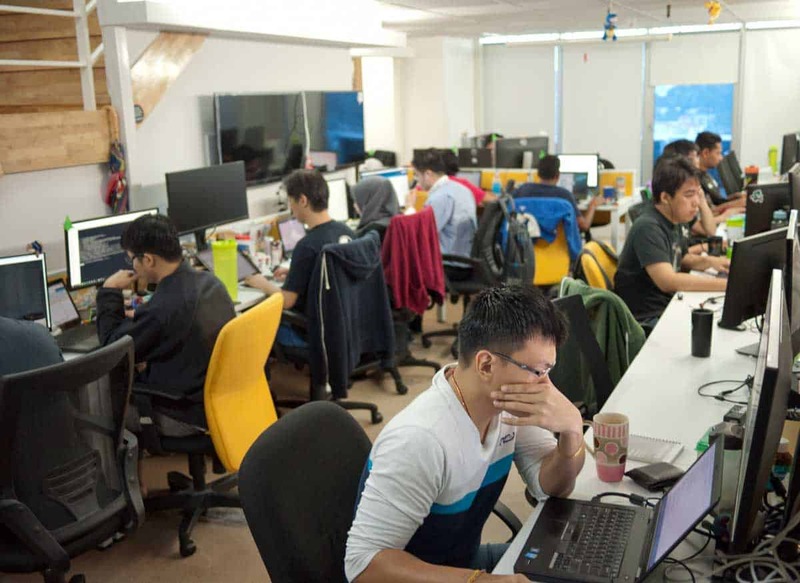 They boast an impressive resume with 75,000 customers from 121 countries and 30% of Malaysia’s web hosting market share. Their vision is to help SMEs grow their business online and achieve their dreams as a trusted digital partner. They have recently been expanding getting 15% of Singapore’s web-hosting market share with acquisitions like Usonyx and Signetique. They have secure data centres in Menara AIMS, Malaysia as well as Singapore, Denver (United States) and Kuningan (Indonesia). 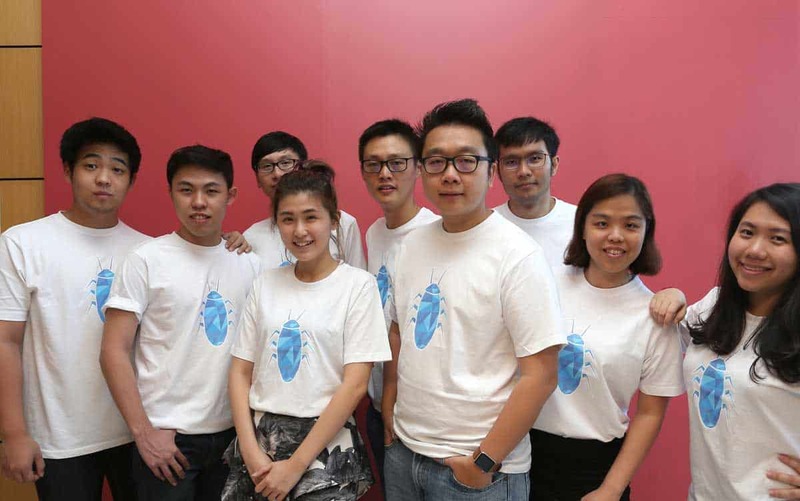 The recently launched Exabytes Cockroach Tech-Funding Program helps raise local tech startups get off the ground that will be strong, adaptable survivors just like the pesky insect. They are organising the Malaysia Website Awards (MWA) 2017 to recognise and reward the work of the best web developers, designers and agencies across the country. The Exabytes Internet Marketing Summit, recently held in Cyberjaya, connected various experienced Digital Marketers and Gurus with local techpreneurs to provide insights on the current situation and discuss strategies and advancements of the Digital Marketing Industry. 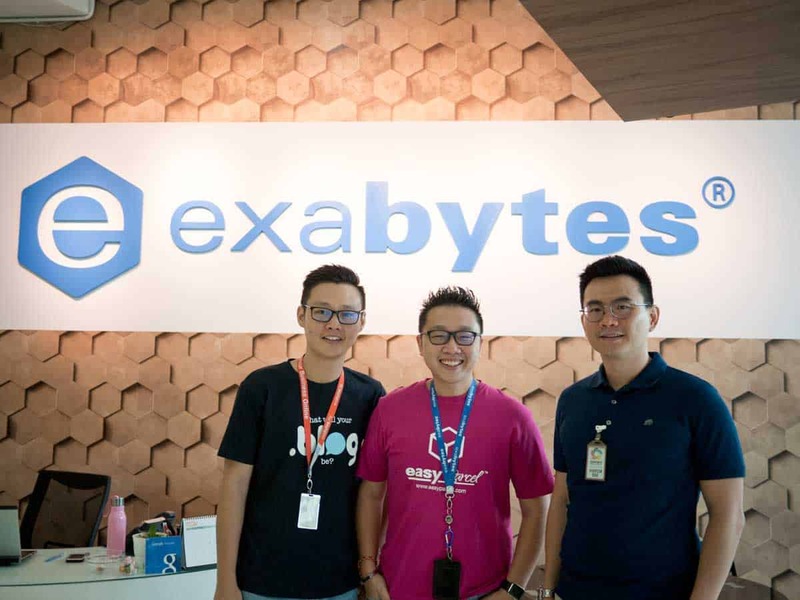 We took some time to meet Mr. Chan Kee Siak, the founder and CEO of Exabytes, at their headquarters in Penang. Born to a family of hawkers, this self-taught entrepreneur built this company since he was 19 years old and is very familiar with the trials and tribulations of starting your own business. He currently serves as president of the Internet Alliance, Malaysia, a networking platform for different entrepreneurs to share valuable learning and expertise amongst Internet leaders and the local director of Founder Institute, a global idea-stage accelerator and startup launch programme. He has also co-founded two other service platforms, EasyStore, an online e-commerce platform for those who want to start an online store, and Malaysia’s first integrated transport service EasyParcel. Our next stop was Exabytes’ 24/7 customer support centre in Penang. Their service team comprises of three different teams for different types of hosting accounts: shared hosting, dedicated servers and reseller accounts. They are also joined by a tech team of engineers from Menara AIMS for any technical issues that may arise. They showed us how every resolved ticket comes with a voting system to rate their service. All votes are recorded and consolidated into meaningful numbers and goals to improve customer satisfaction. Finally, we were introduced to the Data Centre in Menara AIMS itself. Exabytes’ site claims that they manage over 1,000 servers with more than 100,000 websites and over 1,000,000 email accounts. We learned that this centre is currently rated as a Tier III centre offering 99.98% availability but is going to be upgraded to the highest level of Tier IV in future. 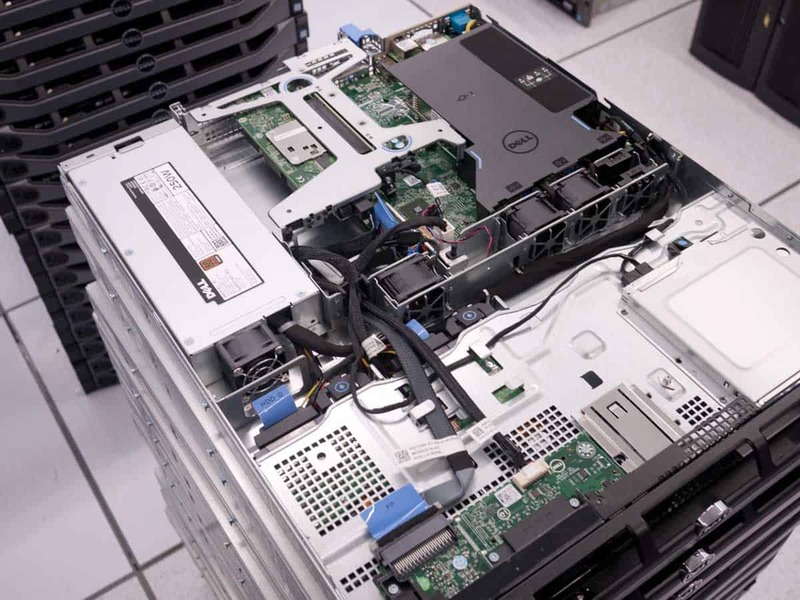 While we couldn’t get photos of their server racks due to security reasons, we managed to sneak a peek at some of their new, unplugged cloud hosting servers. 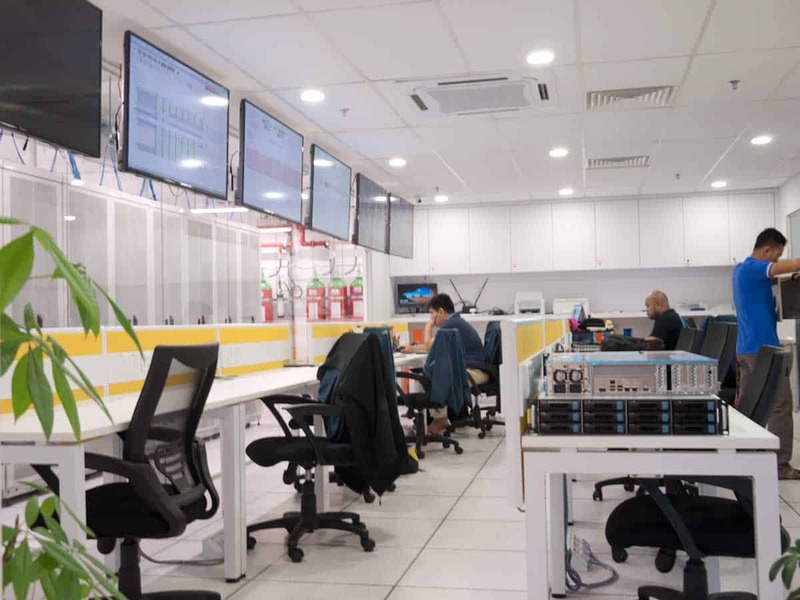 We had a chance to view their Operation Room where trained engineers watch over the servers in shifts every hour of the day to be ready to immediately tackle any technical issues that may arise. At the end of the tour, we were convinced that Exabytes, as a local SME themselves, understand the local culture and their involvement in the local entrepreneur community keeps their finger on the pulse of the Malaysian SME environment. They also demonstrated that their ready infrastructure equips them to be a leading web hosting company in South East Asia. Links to service companies like EasyStore also give them active presence in other countries like Singapore, Indonesia and Taiwan. Business Email Hosting (From only RM17.99 monthly)EBizMailPro provides webmail service that provides excellent and secure dissemination of emails as well as excellent synchronization of calendars, tasks and contents across various digital devices and Microsoft Outlook. Learn more. Website Design Services (From only RM39 per month)Instant Website provides a unique, custom-made website that fits your needs. It also comes with technical assistance, Marketing services and expert phone call consultation. Learn more. All-In-One Website Builder (RM23.29 – RM69.96 monthly)EBizPro, a drag-and-drop builder, comes with customizable templates that work on all digital platforms. This subscription includes professional email support. Learn more. At the end of the day, how you really build an effective online business depends on you. But build it, you must. Think of the advantages! With your digital platform, you can provide personalised customer service at a more competitive rate with better convenience for your customers. You can also reach customers not just in Malaysia but overseas and all at a fraction of the cost! One of the cheapest ways to do this is by adopting an effective and focused tool called email marketing. Through carefully crafted newsletters, you can reach everyone in your contact list and immediately keep them in the know and drive sales to your business. If you don’t mind spending a bit extra to let experts handle your online promotion, you can consider Exabytes Digital Marketing Services as well. Samuel Low loves writing about a variety of topics, including entrepreneurship, tech and legal articles for various companies. When he isn't busy doing that, he pursues his other passion: performing arts!